Fringed by the two great rivers of Central Asia, the Oxus and the Jaxartes, Tajikistan can boast not only some of the mos breathtaking mountain scenery in the far east, but also 3,000 years of history. The land where Alexander the Great fought desperately against the Scythian nomads, his most formidableadversaries, Tajikistan is an ancient cradle of Persian culture. Originally it was the home of the Sogdians, the famous trading people of the Silk Road; eventually this country was at the heart of the 19th century 'Great Game', a place of contention for the adventurers and spies of Britain and Imperial Russia. Now recovering from the misfortunes of the 20th century – the travails of Soviet rule and several years of civil war – it is able to offer visitors not only its legacies of cultural and ethnic diversity, but also unparalleled opportunities for adventure. This 2nd edition is over 700 pages of outstanding cartography; essays on wildlife, botany, geology, archeology, culture, music and ethnic traditions; heavily illustrated for the armchair traveller as well as the intrepid visitor. 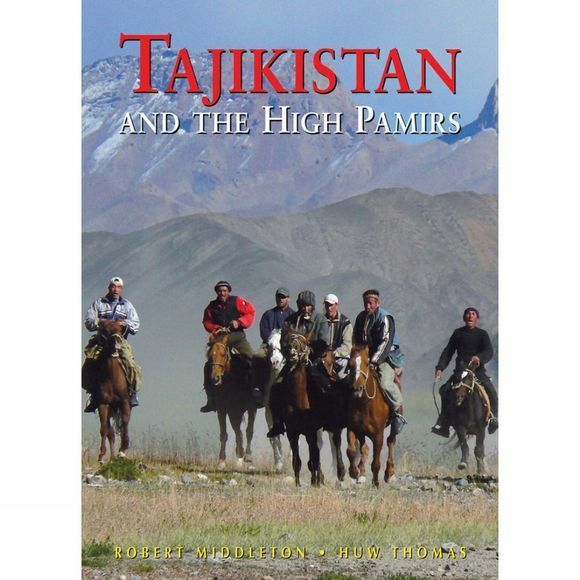 Large section on trekking and mountaineering in the Pamir and region.